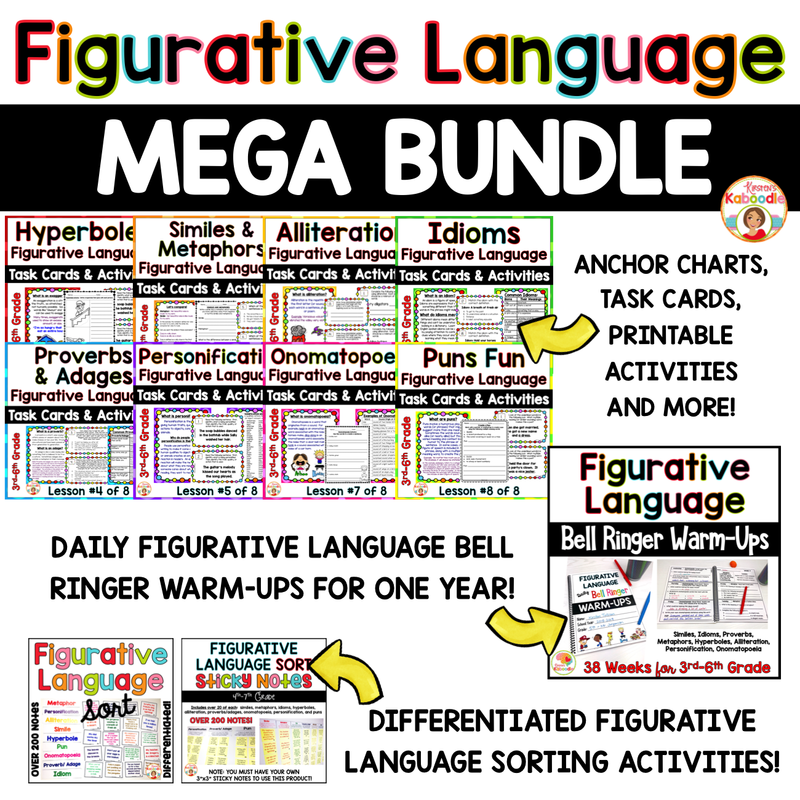 This Figurative Language BUNDLE is created for 3rd, 4th, 5th, and 6th grade, and includes ELEVEN PDF figurative language products. The figures of speech covered in this mega bundle include hyperboles, similes and metaphors, idioms, proverbs and adages, personification, alliteration, onomatopoeia, and puns. You will find task cards, no prep worksheets, anchor charts, sorting activities, and bell ringer warm-ups. These hyperbole activities are common core aligned for 3rd-6th grade. This activity pack includes 4 instructional pages and examples, 36 task cards (students identify hyperbole on 12 cards, finish hyperbole sentences on 12 cards, and create 12 hyperboles from regular sentences), three activity pages, answer sheets, and answer keys where appropriate. Note: Many answers will vary because students are creating their own hyperboles. Simile and Metaphor Task Cards and Activities are Common Core aligned for 3rd-6th grade. Included in the packet are 4 instructional sheets, 36 task cards with varying student requirements, a task card answer sheet, task card answer key, as well as three printable sheets (answers on the printables will vary). Idioms Task Cards and Activities are Common Core aligned for 3rd-6th grade and includes 2 instructional pages, 5 full pages of common idioms and their meanings (67 idioms included), 36 task cards with three distinct question types, an answer sheet, a task card answer key, and three printable activity pages (one is a whole class game). Proverb and Adage Task Cards and Activities are Common Core aligned for 3rd to 6th grade. This figurative language product includes 2 instructional pages, 7 pages of common proverbs and adages (42 common proverbs/adages), task card answer sheet, task card answer key, and 3 activity sheets. Please note that as per the common core standards, this packet does NOT focus on the difference between proverbs and adages, but instead on the contextual meaning of proverbs and adages. Personification Task Cards and Activities are Common Core aligned for 3rd-6th grade. 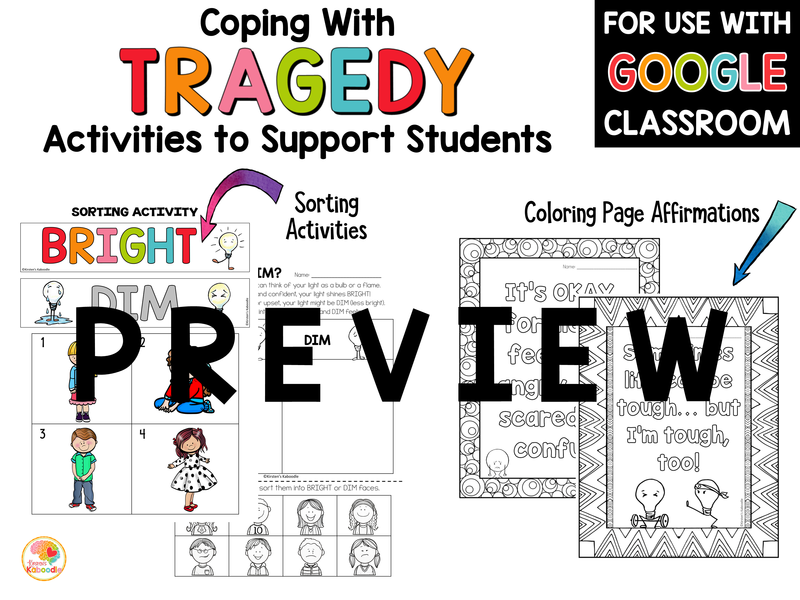 Product includes 3 instructional pages, a word list (2 pages with over 150 words) for common human traits and actions that can be used to personify writing, 36 task cards with a variety of questions, a task card answers sheet (2 pages), a task card answer key (2 pages), and 4 pages of activities. 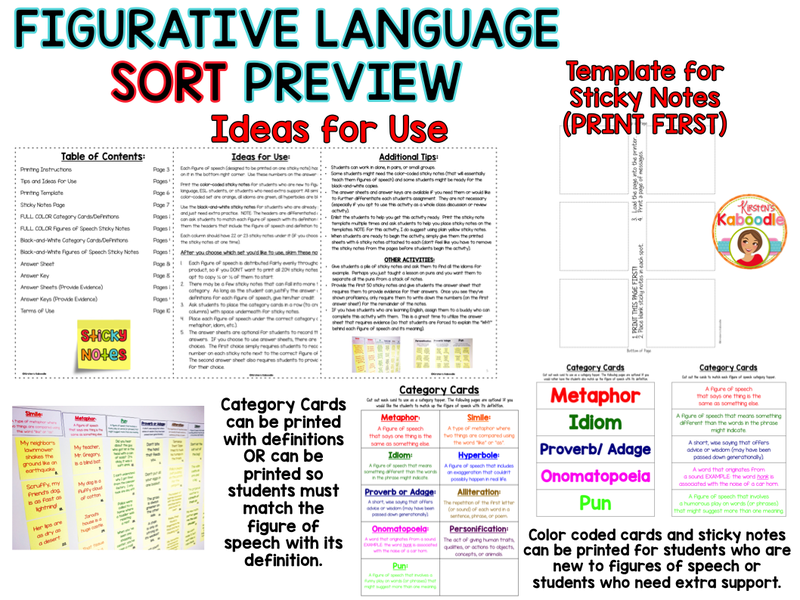 Alliteration Task Cards and Activities are Common Core aligned for 3rd-6th grade. Included in the packet are 2 instructional sheets, 20 task cards with varying student requirements, a task card answer sheet, an alliteration acrostic poetry exercise, a tongue twister partner activity, a class book template for an alliteration picture book, alliterative number poetry, as well as alliteration in common phrases. 158 pages total (includes cover sheets and appreciation sheets for each product). 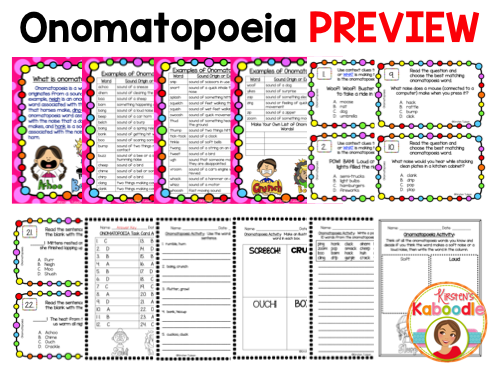 Onomatopoeia Task Cards and Activities are Common Core aligned for 3rd-6th grade and include an instructional page along with 90 common onomatopoeia words, 24 task cards with three distinct question types, an answer sheet, a task card answer key, and five idioms printable activity pages. 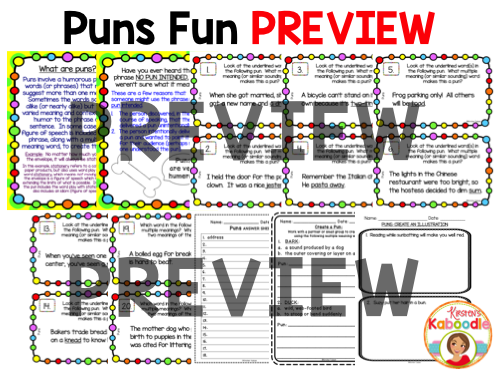 Puns Fun pages are engaging figurative language, wordplay activities for 3rd to 6th grade. This puns wordplay product includes 2 instructional pages, 30 task cards (two per page), task card answer sheets, task card answer keys, and 4 puns activity sheets. 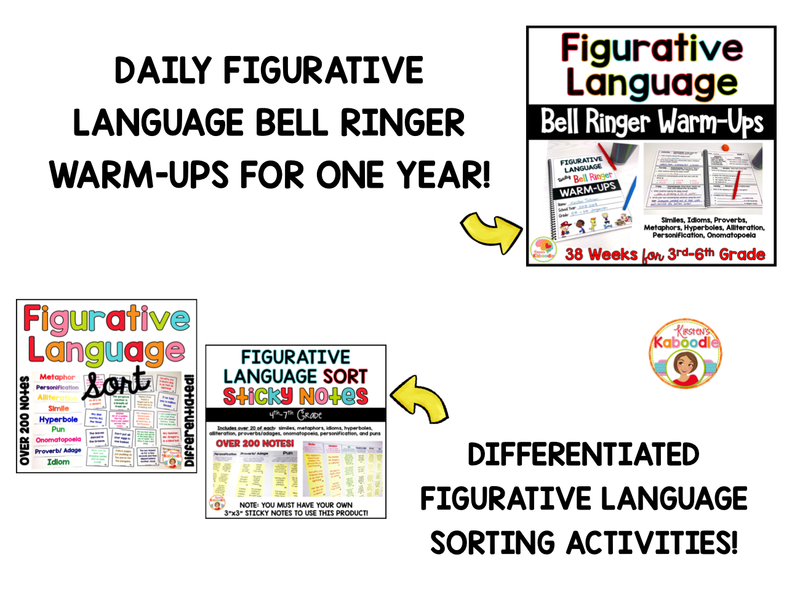 Daily Figurative Language Activities: These daily warm-up bell ringers contain 38 weeks of daily figurative language activities, 30 reference pages (related to metaphors, similes, idioms, hyperboles, proverbs, personification, alliteration, onomatopoeia), answer keys (13 pages), and a certificate of achievement or completion. You will truly be over the moon with this daily figurative language warm-up product! Designed for an entire year, this packet can also be used at any point in the year because of the spiraling layout (each figure of speech shows up every eight weeks and then repeats until the final 14 weeks, where all the figures of speech are combined). This layout ensures that your students walk out of your class with a firm grasp on each figurative language element. Used as a warm-up, homework, or an early finisher activity, each figurative language activity is designed to last 3-6 minutes and is common core aligned for 3rd-6th grade. For specific information about the layout, please see below. This figurative language activity includes hyperboles, metaphors, similes, puns, proverbs/adages, idioms, onomatopoeia, personification, and alliteration. 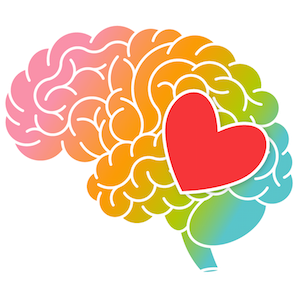 There are over 200 figures of speech that can be categorized in each area. Created for 4th, 5th, 6th, and 7th grade, this activity is perfect for individuals, pairs, small groups, or the whole class. There are full-color cards and category toppers for students who are new to figures of speech (or for ESL students who are learning the language). Each figure of speech is color-coded (all idioms are green, for example). 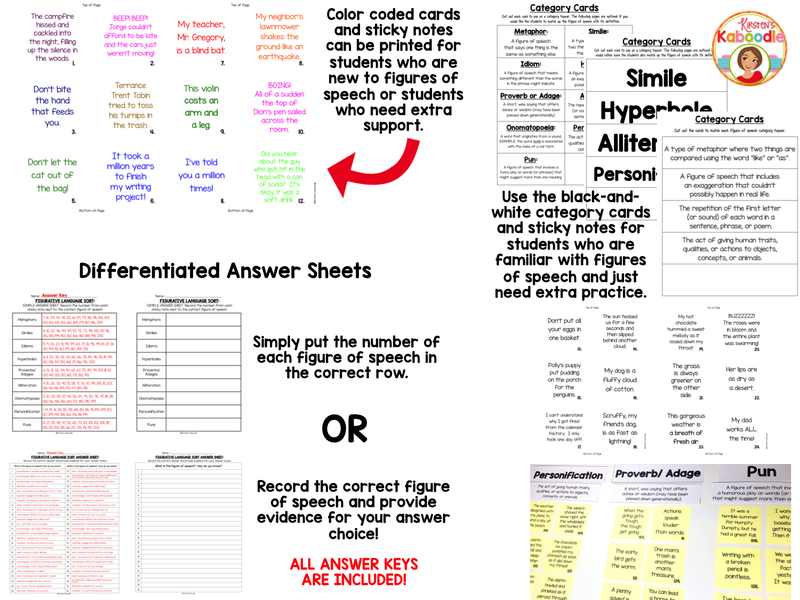 The black and white notes and category toppers are designed for students who are familiar with figures of speech, but need practice. NOTE: YOU WILL NEED TO PURCHASE YOUR OWN 3″x3″ STICKY NOTES TO USE THE FILE WITH THE STICKY NOTE TEMPLATE!